No one likes to think about their heater breaking down, especially in the cold of winter when we need it the most. But breakdowns do happen, and while Newport heating repair services can move quickly, you still need some way of keeping warm until they get there. You can combat some of it by dressing warmly and making sure all doors and windows are sealed. If you have a fireplace, there’s another quick solution. In addition, here are a few tips on how to stay warm when your heater breaks down. Shut all the doors to rooms you’re not using. You and family members (including pets) generate body heat. The smaller an enclosed space you can occupy, the warmer it will feel. Try to limit your activities to just a single room, and if you can snuggle on the couch with a pet or a family member, so much the better. Exercise. The more you move around, the more blood you’ll circulate and the more body heat you generate. If you have exercise equipment, use it. If you don’t try doing some push-ups or jogging in place. Put down a rug. That helps keep heat from leaking out through the floor, as well as keeping your feet warmer than they would be on tile or wood. In addition to those steps, you can exercise preventative measures by adding insulation to your attic and having a service technician perform routine maintenance on your heater. If it does break down, don’t hesitate to call Greater Comfort Heather & Air Conditioning Inc. We service all of Newport, heating repair is our specialty and we can give more advice on how to stay warm when your heater breaks down as well as fixing your heater lickety-split. We offer 24-hour emergency service, so with us, you won’t have to wait long. Pick up the phone and call us today! 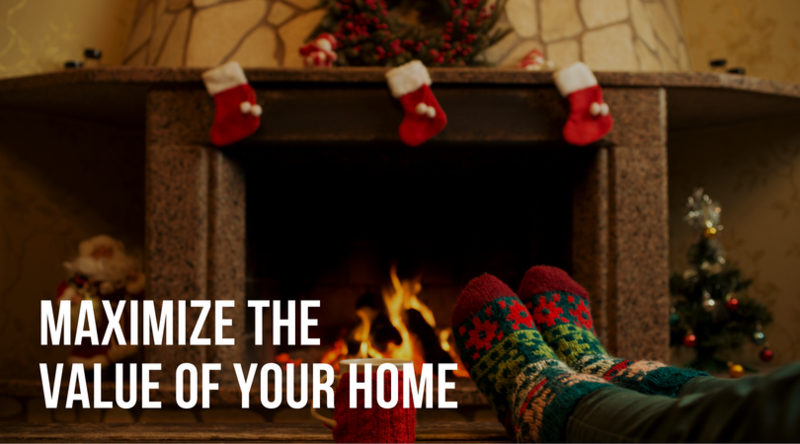 Do you have a furnace in your home to keep you warm during the winter? We thought you might—most people grew up in homes with furnaces. Even if your current furnace is the first one you’ve ever had, you probably already have a good idea of the sounds it makes when it’s operating. Make sure you pay attention to these sounds, because the moment they change into something you haven’t heard before, it usually indicates a serious problem is brewing in the furnace cabinet that could develop into a major repair issue, a breakdown, or a safety hazard. The moment you suspect that there is something awry in your furnace, call for professionals to investigate and do the necessary repairs. In Independence, KY, heating repairs from Greater Comfort Heating & Air Conditioning, Inc.® will ease your worries. We’ve served Northern Kentucky since 1988 and have the experience to get your repairs done fast and right. Loud clicking: This is the most important one to pay attention to. The source could be as simple as loose bolts on the furnace cabinet. However, if you have a gas-powered furnace, clicking noises from inside the cabinet might indicate cracks in the heat exchanger. Because this can lead to a toxic carbon monoxide leak, shut off the gas to the furnace and call for professional help immediately. Groaning and squealing: The motor bearings have gotten dirt on them or they have worn down. The bearings will need replacing before the motor itself burns out and requires a costlier replacement. Rumbling or booming: For a gas-powered furnace, this indicates grime along the burner where the gas jets ignite to heat up the combustion chamber. You will need to have professionals remove and clean the burner, or else the gas jets will not be able to draw sufficient oxygen to ignite. Furnaces are devices that you should never attempt to repair on your own: whether electrical or gas-powered, they pose health hazards to anyone who tampers with them without the proper tools and experience. When you think that those noises from your furnace are too strange and unusual, get on the phone to Greater Comfort Heating & Air Conditioning, Inc.® for heating repair in Independence, KY. You can get hold of us any time of the day or night.